S SOAPY type В«SВ», The SOAPY type В«SВ» is a 1-position unit for after-treatment processes of dyed material samples (yarn or piece goods) as well as printed textiles. 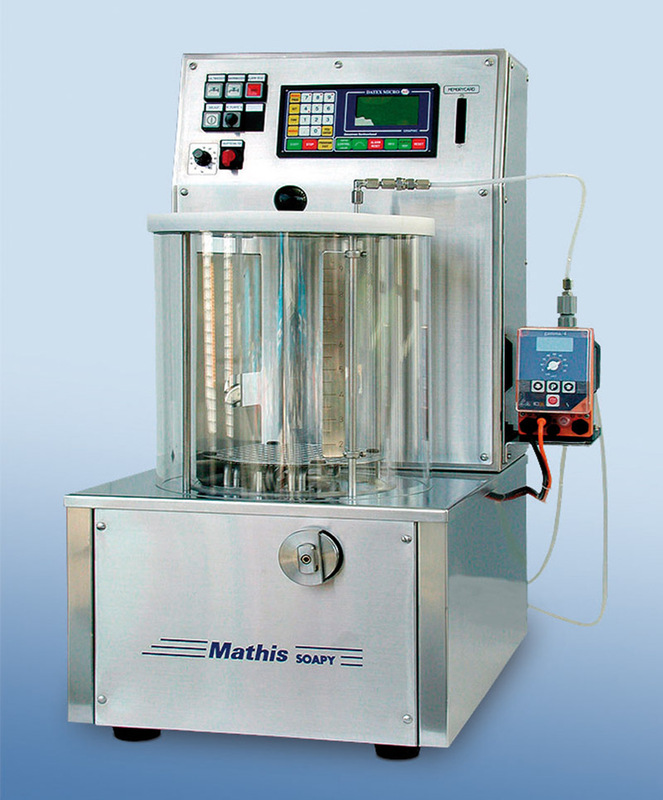 The material samples are agitated in the liquor from the jet nozzle which is circulat, Mathis AG :: Worldwide competence in dyeing and coating; Plant and mechanical engineering in the dyeing and coating sectors for standard laboratory and production equipment and customized system solutions. The SOAPY type В«SВ» is a 1-position unit for after-treatment processes of dyed material samples (yarn or piece goods) as well as printed textiles. The material samples are agitated in the liquor from the jet nozzle which is circulated by a pump.